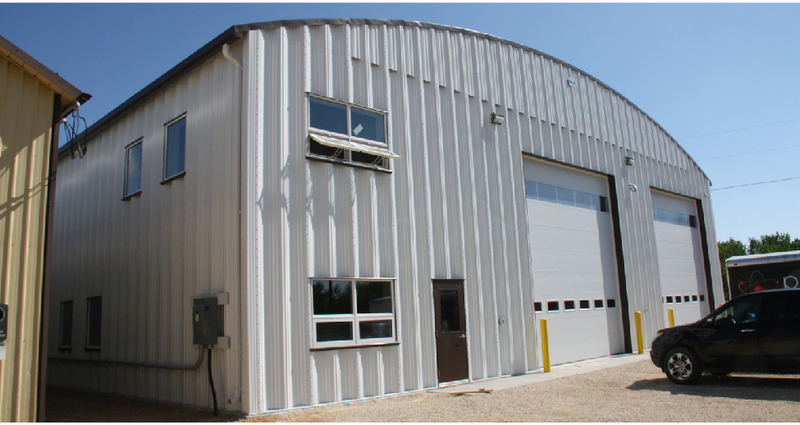 The RM of St Andrews office and Maintenance facility is located in Clandeboye, Manitoba just 45 minutes north of Winnipeg. The municipality consists of over 11,000 residents and contains many communities including Lockport, Petersfield, St Andrews and Clandeboye. 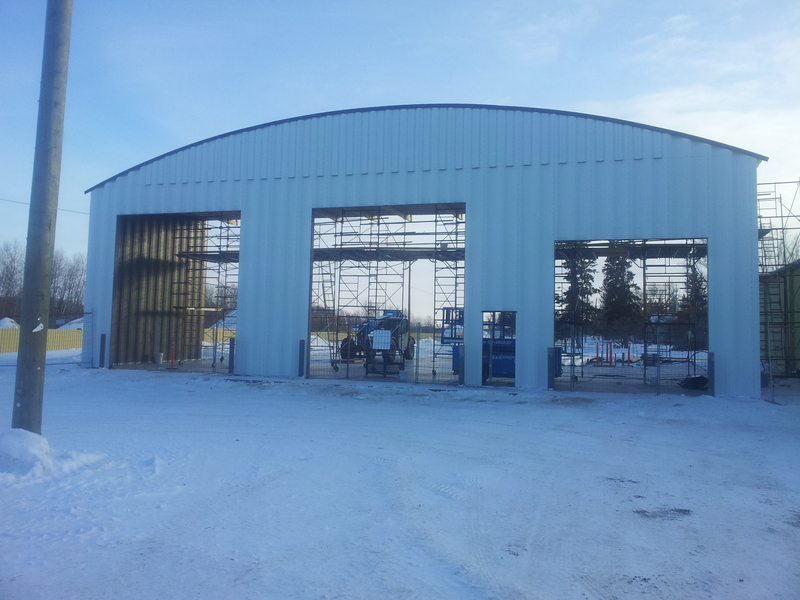 The RM had an existing frameless steel building on site that was 6,000 sq.ft and operating as their maintenance shop. When the time came to expand we designed a 7,300 sq.ft addition with a 102 sq.ft link in between. 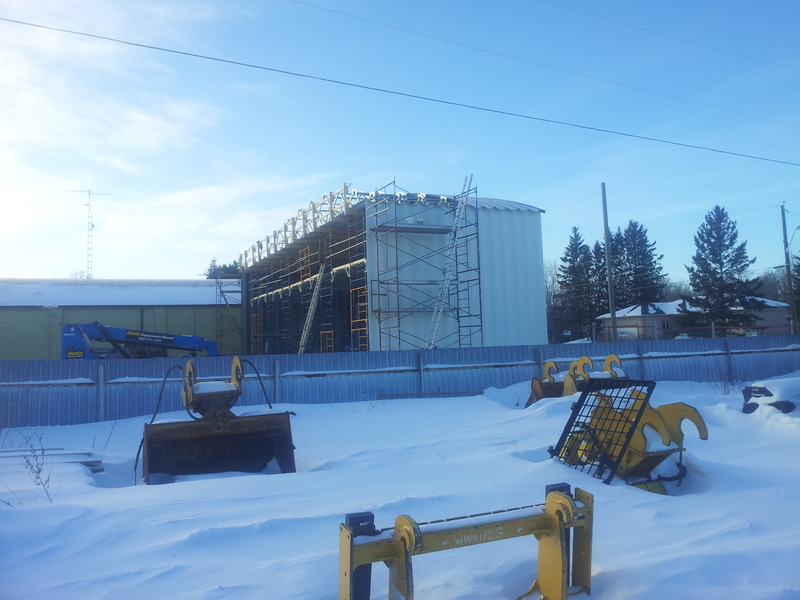 The new addition was also a Behlen Frameless building which allowed a clear span for an economical price. The new building consists of a drive thru truck wash bay, service shop and adjacent office space. In addition we designed a mezzanine above for the lunch room, change room, washroom and mechanical space. This project would also consist of minor upgrades to the existing building in order to suit the National Building Code requirements.